Discover the new reality of Virtual Reality by pre-ordering your eBreezeVR Bundle now. 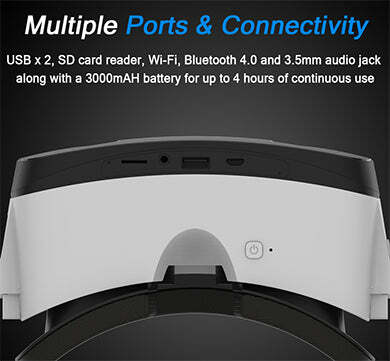 Included in the Bundle is the eBreezeVR Headset which is an all-in-one, Android-powered, VR device. 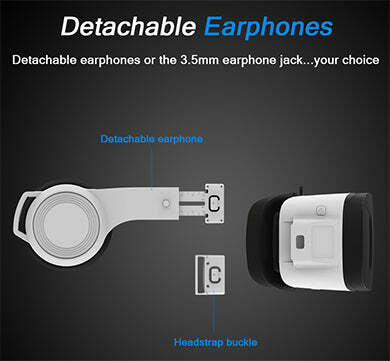 The headset features the latest in VR technology delivering a fully immersive experience with access to the latest videos, movies, games and 3D apps. 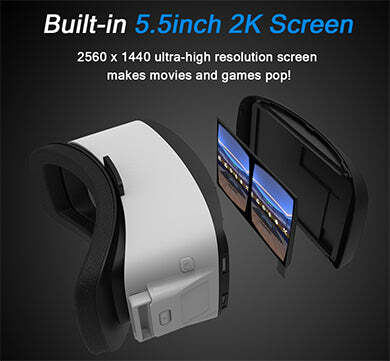 The eBreezeVR Headset has all of the technology built-in including a high-powered CPU, GPU, highly intuitive motion sensors, Wi-Fi and Bluetooth connectivity, 2K display and stereo earphones making the need to connect with a PC, gaming console or smartphone obsolete. Check out the eBreeze360° Camera and eBreezeStudio Software product pages to learn about the other items included in the eBreezeVR Bundle. 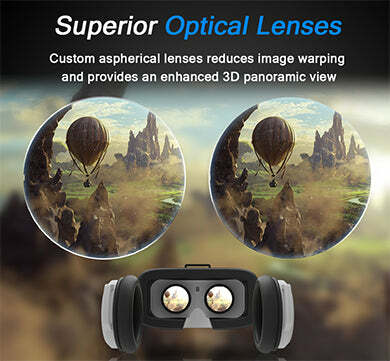 Designed for a comfortable VR experience, your eBreezeVR Headset weighs less than a pound, includes a built-in touchpad, large easy-to-use buttons, is enjoyable even while wearing glasses, with its wide-set lens placement and removable foam cushion. The eBreezeVR Headset intensifies your immersive 3D experience while eliminating the frustrations of clunky navigation issues. 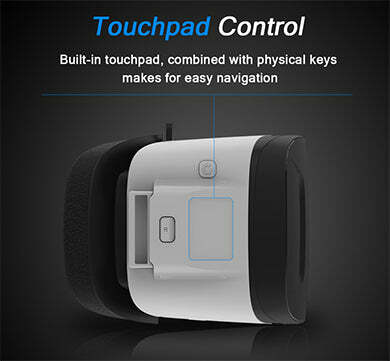 In addition to the built-in touchpad and buttons on the eBreezeVR Headset, also included is a Bluetooth 4.0 Hand Controller with built-in 6-axis gyroscope. 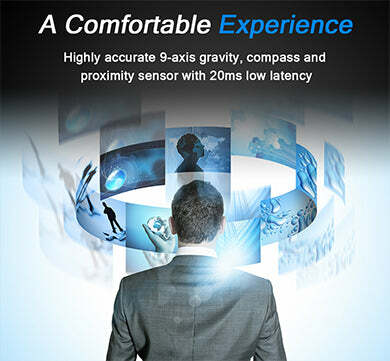 The controller is used for interacting with the Nibiru user interface menus, apps and games. The buttons include volume control, menu directs, home and Nibiru menu. The Nibiru User Interface or UI is built upon the Android operating system and is the interface we have selected for our VR headset products. Nibiru is a powerful and easy to use UI because it is optimized at the hardware AND software levels to provide a highly responsive experience. Nibiru is simple to navigate through and is very similar to today's Android experience. 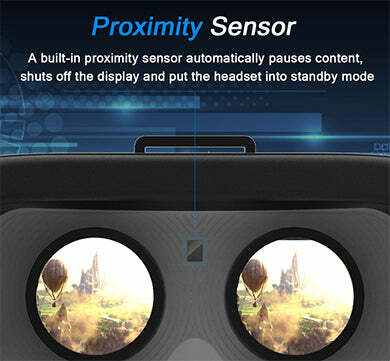 The eBreezeVR Headset's configuration, menus and apps are all easy to understand and the process to install new apps are as simple as visiting, browsing and installing from the Google® Play Store. 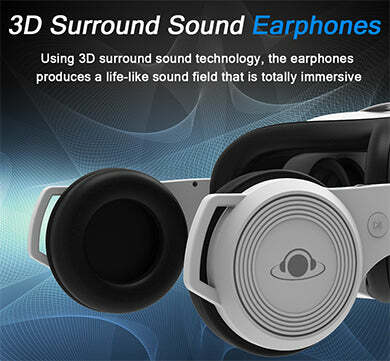 With the new eBreezeVR Headset, the future of gaming and entertainment is now. 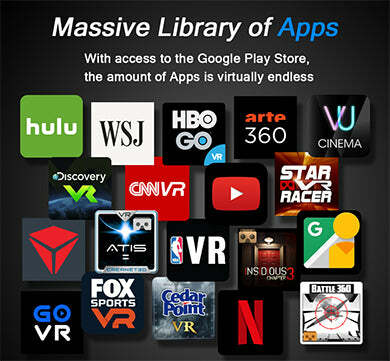 You can watch and experience your favorite TV shows and movies in a whole new way and take your gaming to an intense, exciting new level that exceeds anything you’ve ever dared to dream. You can immerse yourself in exciting, vibrant new worlds and you will never go back to the old way of gaming again. SD Card = Micro SD - 64GB Max.